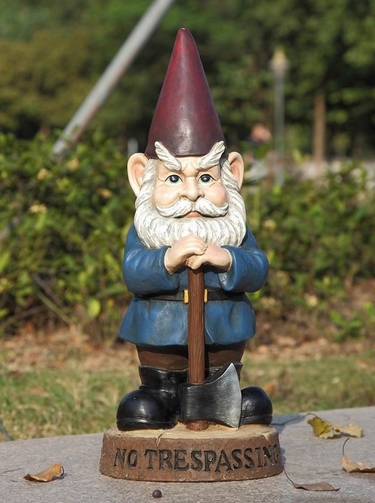 Talk about a Gnome with an attitude, our No Trespassing Gnome with Axe stands on this wood slab and makes his intensions clear! Made of durable poly-resin, intended for indoor or outdoor use. Size: 8"L x 8"W x 20"H. Approx. 5 lbs.